Michael Jordan, the basketball superstar who won six NBA crowns and boosted the sport's worldwide appeal, celebrates his 50th birthday on Sunday with a powerful legacy 10 years after his final game. From "The Shrug" to "The Flu Game," from retirement to unretirement, Michael Jordan's career can fill volumes with highlights and moments and great plays. 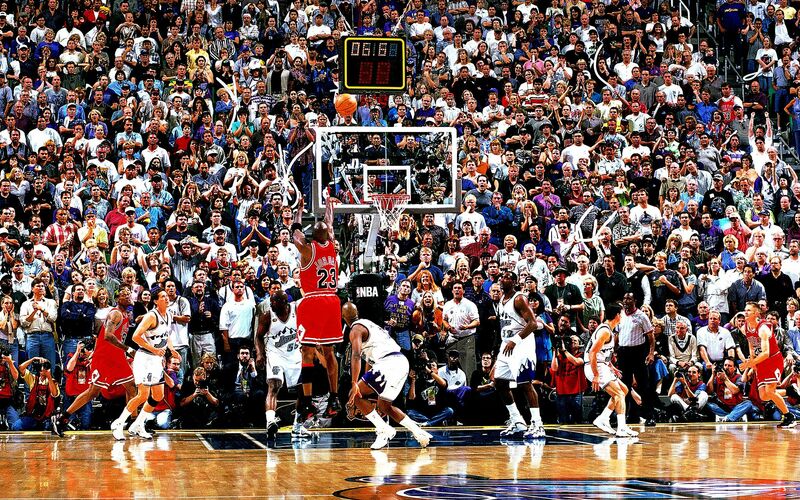 As MJ approaches his 50th birthday on Feb. 17, we put together a list of MJ's 50 greatest moments. This is part 5 featuring the top moments ranked 11 to 1. You can also see the 50 HD Michael Jordan Wallpapers. 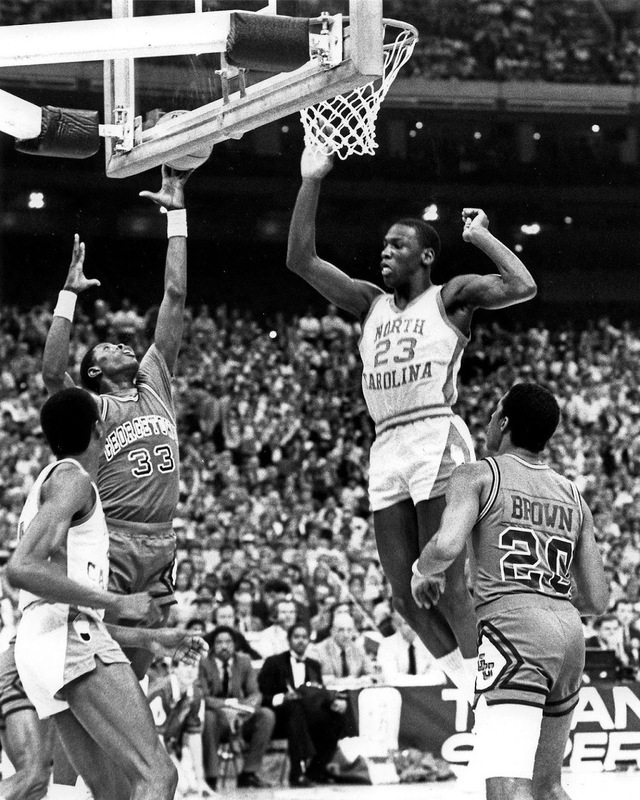 Jordan was just a freshman when he helped lead North Carolina past Georgetown to the 1982 NCAA championship. He scored 16 points, including the game winner. 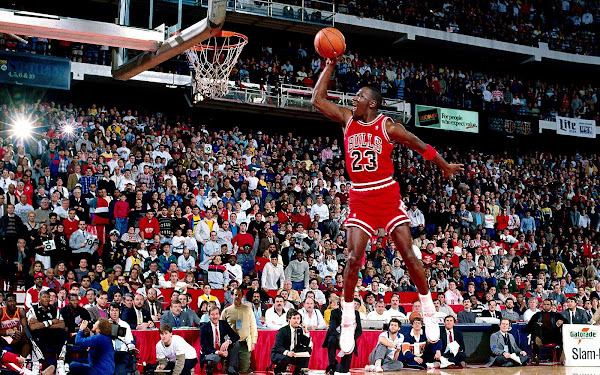 Avenging a loss to Dominique Wilkins three years earlier, Jordan soared from the free throw line and won the 1988 slam dunk contest during All-Star Weekend at Chicago Stadium. Some believed MJ benefited from friendly home judges, and Jordan even acknowledged he might have lost elsewhere, but fans in the Stadium didn't argue the outcome. 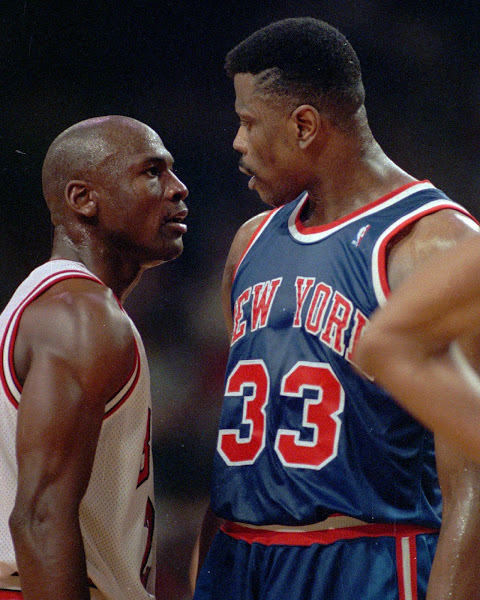 Jordan's dunk over the Knicks' Patrick Ewing in Game 3 of the 1991 Eastern Conference finals (photo not available) not only became a legendary play, but it helped the Bulls get past their rivals and propelled them to their first title. 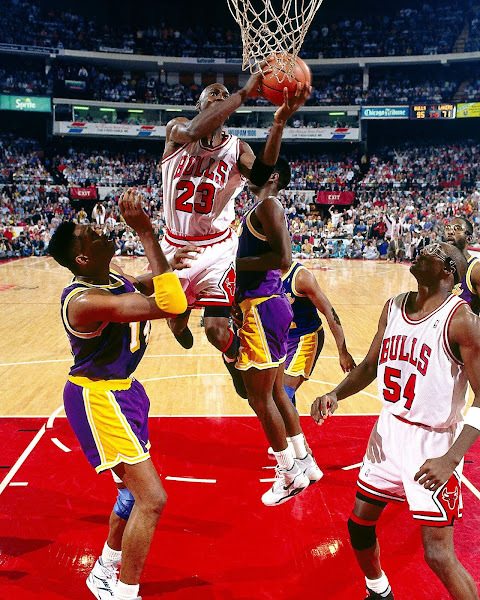 As he rose for a layup on June 5, 1991, Jordan switched the ball from his right hand to his left and scored against the Lakers in Game 2 of the Finals. 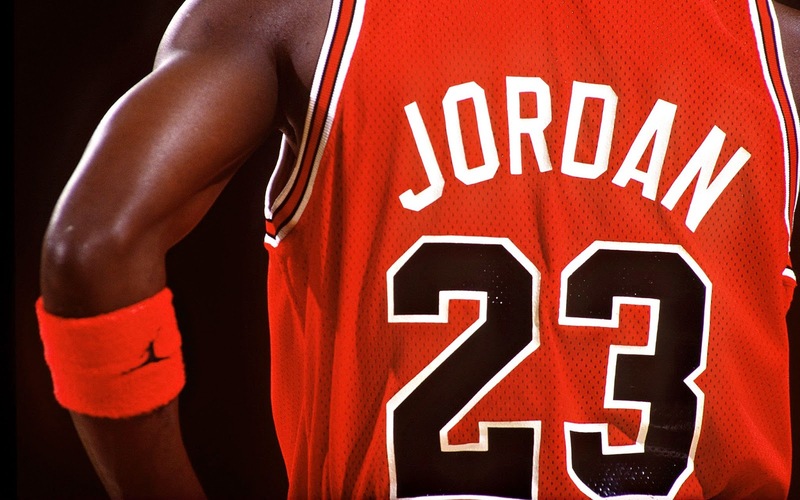 The Bulls went on to win the first of six titles, all with Jordan. 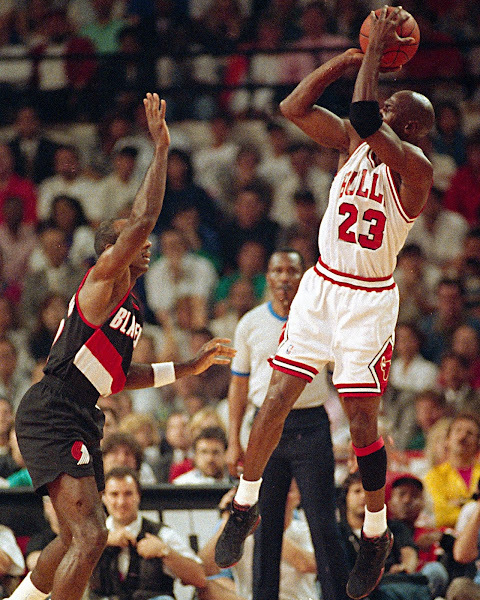 Jordan set two records on June 30, 1992, when he scored 35 points in the first half and hit six 3-pointers in Game 1 of the Finals against Portland. 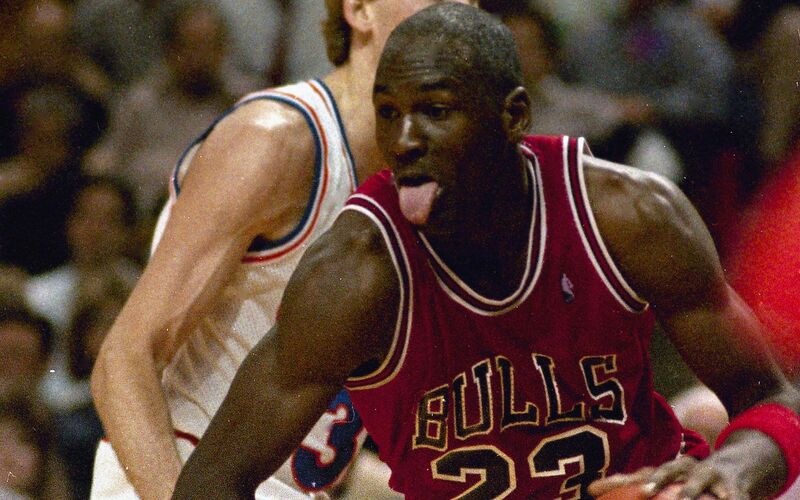 The Bulls won 122-89 and Jordan finished with 39 points. After hitting his sixth 3-pointer, he shrugged, as if to say even he couldn't explain it. He had retired from basketball after his father was murdered to pursue the baseball dream he shared with his dad. In his first full season back in the NBA, Jordan won his fourth championship, on Father's Day 1996 in Seattle. 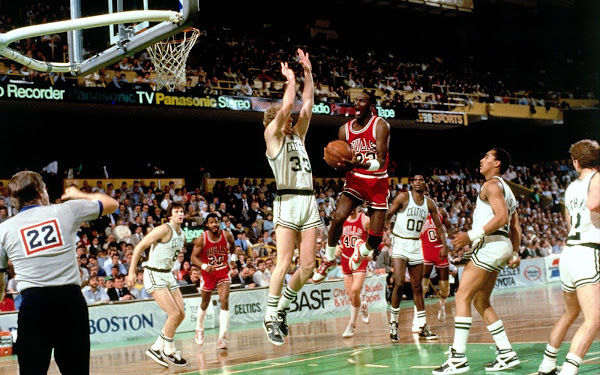 After MJ scored 63 points on April 20, 1986 -- the most points by a player in a postseason game, a record that still stands -- Larry Bird said it was "God was disguised as Michael Jordan." 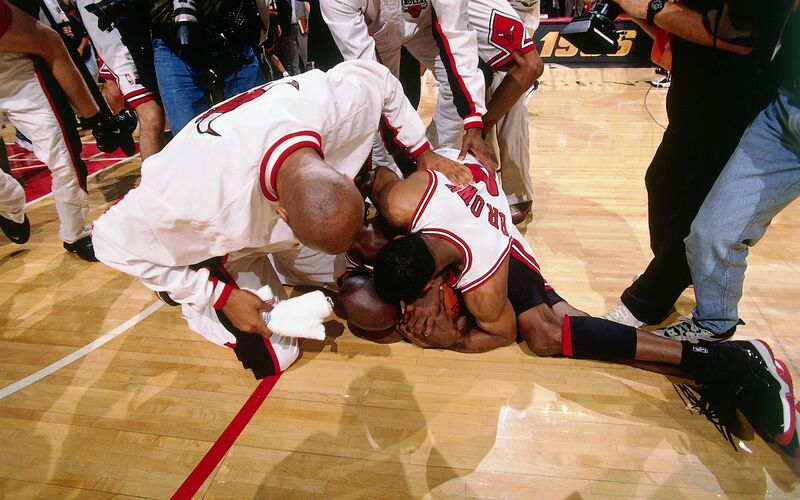 Jordan had missed much of that season -- his second in the NBA -- with a broken foot. The Bulls lost the series, but Jordan had made a statement. It became known simply as "The Shot." Jordan's buzzer-beater over Craig Ehlo in Game 5 of the 1989 Eastern Conference first-round series helped launch the legend of Jordan's clutch greatness. He finished that game with 44 points. 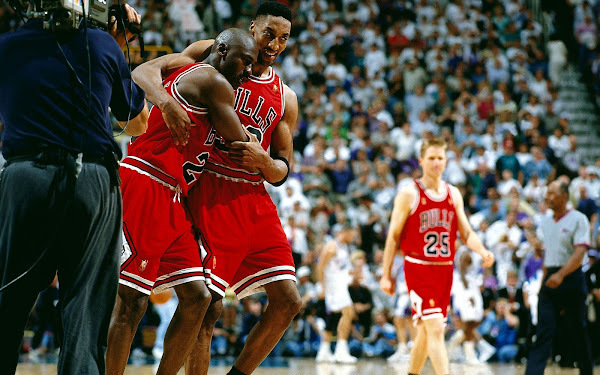 He was battling the flu and a 103-degree fever, but Jordan's 38 points in Game 5 of the 1997 NBA Finals gave the Bulls a 3-2 series edge against Utah. Coach Phil Jackson said it was the best performance he had seen. The Bulls won title No. 5 two days later. 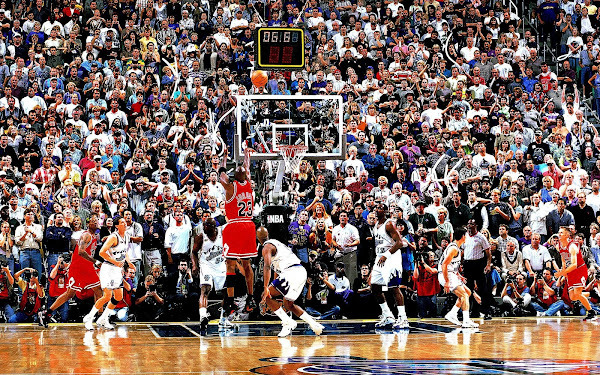 After separating himself from Utah's Bryon Russell, Jordan rose and nailed his final shot for the Bulls, clinching his sixth title on June 14, 1998. It seemed like the perfect ending to a legendary career, but Jordan wasn't through with the NBA.